Felty Syndrome (FS), a rare complication of rheumatoid arthritis (RA), was first described by Dr. Augustus Felty in 1924. It is characterized by a triad of symptoms: seropositive RA with severe joint involvement, a low white blood cell count (neutropenia), and an enlarged spleen (splenomegaly). However, the triad is not required for diagnosis. Splenomegaly and severe joint involvement are not always present in some people with FS, and some people can even present with no symptoms. Neutropenia is the hallmark symptom of FS and is key for diagnosis. FS can be a potentially life-threatening, serious systemic condition due to its increased risk for infection during an immunosuppressed state of RA. FS is three times more common in females than males. However, early occurrence is more common in males. It more commonly affects the Caucasian population, and the mean age of those presenting with FS is between 50-70 years old. It should also be understood that splenomegaly is not always present in FS, and it could indicate other complications (see Associated Co-morbidities). Immunosuppressive agents and hematopoietic growth factors are two of the most common pharmacological treatments used to reduce mortality and prevent complications in FS. Glucocortoids and antineoplastics/monoclonal antibodies are also used in managing FS. There is currently no evidence for the exact cause of FS. However, both genetics and immunosuppressive drugs, used to treat previous aggressive and seropositive RA, tend to play a large role in its etiology. It is thought that genetics and the use of immunosuppressive drugs weakens the immune system, lowering the body's natural defenses and allowing for an increased risk of infection. Research shows that about 86% of those who have FS are positive for HLA-DR4, which is a cell surface receptor antigen. More specifically, literature illustrates that the presence of two HLA-DRB1*04 alleles increases the susceptibility for extra-articular manifestations of RA and increases the chance of getting FS. Unfortunately, those who have the RA with extra-articular manifestations component of FS tend to have a worse prognosis and a higher risk for mortality. Unfortunately, there is limited research that outlines effective treatment strategies for patients with FS. In FS, immunosuppressive agents, such as Methotrexate and Cyclophosphamide, and hematopoietic growth factors, such as Filgrastim and Sargramostim, are two of the most common ways for medical management. As stated in the medications section, the immunosuppressive agents inhibit factors that cause immune reactions; whereas, the hematopoietic growth factors are responsible for stimulating production, maturation, and activation of neutrophils, along with increasing their migration and cytotoxicity. Low dose Methotrexate is oftentimes used for RA management; thus, it is the most commonly used medication to treat FS at its initial phase. In addition to these medications, glucocortoids and antineoplastics/monoclonal antibodies are other pharmacological ways for the medical management of FS. In essence, these are genetically engineered immunoglobins that are designed to work against the proteins involved in cell cycle initiation. Specifically, the drug, Rituximad, is used for this purpose, in which it is directed against the CD20 antigen of normal and malignant B cells. 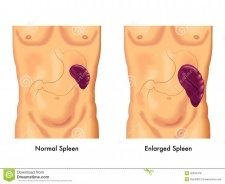 As a last resort, a splenectomy is utilized, especially for those who have severe neutropenia (absolute neutrophil count of less than 1500/mm3) and frequent infections. A splenectomy has positive effects on treating various components of FS, such as anemia, thrombocytopenia, neutropenia, and chronic infections. Although most patients who undergo this surgery demonstrate initial improvement in their white blood cell count, neutropenia tends to reoccur in about 25% of the patient population. Thus, this surgery's long term value is unclear. In people with FS who present with RA and severe joint involvement, patient-centered physical therapy should be emphasized and implemented. The goal of patient-centered therapy is to is to formulate a self care plan for patients that consists of managing fatigue and balancing work/activities of daily living. This self care needs to involve both the physical therapist and the patient, and be something the patient is able to effectively do overtime. The goal for the intensity of aerobic exercise should be moderate to hard (60-85% of maximum HR) and these exercises should be performed 3 days of the week for 30-60 minutes a day. These activities can be aquatic or land-based, such as swimming, walking, cycling, or aerobic class participation. Progressive adjustment of the intensity is recommended based on the patient's fatigue and pain level. The goal for strengthening exercises should be moderate to hard load (50-80% of a maximal voluntary contraction) and resistance training should be performed 2-3x/week. These exercises may be static or dynamic and can be body weight exercises or exercises using various types of equipment, such as resistance training equipment, pulley apparatus, dumbbells, or elastic bands. Progressive adjustment of the load is recommended based on the patient's fatigue and pain level. Joint protection is also key when performing these exercises by emphasizing proper body/lifting mechanics and by focusing on larger joints. RA is the main preceding condition and one of the main features of FS. Many of the signs and symptoms of RA are seen in FS, which can make it difficult to differentiate. RA is an immunologic disease that is chronic, affects the systemic systems, and causes inflammation in various joints. Like FS, women are more likely to have RA, and the HLA-DRB1 gene also have a component in developing this disease. Many of the signs and symptoms are very similar to FS; however, neutropenia is not as associated with RA as it is with FS. Neutropenia is one of the hallmark signs of FS. Characterized as a systemic disorder, Amyloidosis affects multiple systems in the body, such as the renal, cardiovascular, gastrointestinal, dermatological, and respiratory. It mainly targets the kidney and the heart, and can lead to neuropathy. The kidney can be enlarged, congestive heart failure can occur, along with an enlarged heart, irregular heartbeat, and murmurs. Unlike FS, where splenomegaly can occurs, Amyloidosis may affect the spleen, as well as the liver, but it is not as common. Similar to FS, arthropathies can also be seen in this disease, as well as neutropenia, specifically in primary Amyloidosis. Both TLGL and FS are from a single disease process, and about 25-30% of people with TLGL have RA as a proceeding complication. Although RA can be seen in TLGL, the arthritis and joint destruction is much milder than that of FS, and RF is not as common. Furthermore, neutropenia can occur in TLGL from neutrophil destruction. Additionally, extra-articular manifestations, leg ulcers, abnormal skin pigmentation, and hepatomegaly are not as common in TLGL as they are in FS. SLE is an autoimmune rheumatic disease that is illustrated as inflammatory injury to the skin, joints, kidneys, heart, blood-forming organs, nervous system, and mucous membranes. Although the butterfly rash is the classic presentation to differentiate SLE from other diseases, like FS, it presents itself through arthralgias and arthritis. The arthralgias and arthritis of SLE can be seen especially in the hands, wrists, and knees, which is similar to the presentation of FS. Furthermore, fever, fatigue, neuropathy and anemia are also signs and symptoms that present similarly to FS. Cirrhosis is characterized by fibrosis and abnormal nodules on the liver, changing its structure. Some common signs and symptoms of cirrhosis that are similar to FS are hepatomegaly, abdominal pain, portal hypertension, fatigue, and weight loss. Myeloproliferative disease consists of hematologic cell proliferation, which can put the person at risk for developing acute leukemia. Since FS has a hematologic component, Myeloproliferative disease has similar presenting signs and symptoms as FS, such as fatigue, fever, weight loss, abdominal pain, swollen and painful joints, and splenomegaly. NHL are tumors or lymphomas that arise from lymphoid tissue. NHL has many similar clinical signs and symptoms as FS, which consist of fever, weight loss, increased risk of infection, fatigue, weight loss, splenomegaly, hepatomegaly, and abdominal pain. This disease is characterized as a multisystem inflammatory, and like FS, fever and arthralgias are present. However, the inflammation manifests mostly in the lungs and intrathoracic lymph nodes, which makes Sarcoidosis present with more pulmonary issues. Sjögren syndrome is in the family of systemic chronic inflammatory diseases, and infiltrates of lymph in the exocrine organs characterize this syndrome. Sjogren’s has a very similar presentation to FS, which can make it difficult to differentiate. Some of the similar signs and symptoms include arthralgias, arthritis, anemia, neuropathy, vasculitis, and lymphoma. 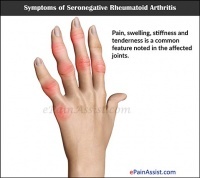 Furthermore, like FS, Sjogren’s, specifically secondary Sjogren’s, has connections to other rheumatic diseases, such as SLE and RA, which makes it hard to differentiate its manifestations as primary or secondary to the disorder. Finally, the medication Rituximab is a common treatment for this syndrome. TB is an infectious disease from bacteria. Similar to FS, TB can present with fatigue, malaise, weight loss, and fever. Also, Tuberculous arthritis can arise in this disease, but unlike FS, it typically involves only one joint, which affects the hip or knee most often, then the ankle, elbow, wrist, and shoulder. Chavalitdhamrong D, Molovic-Kokovic A, Iliev A. Felty's Syndrome as an initial presentation of Rheumatoid Arthritis: a case report. Cases J. 2009;2(1):206. Viana R, Neiva C, Madureira de Padua Dias A, Rosario e Souza E, Madureira de Padua P. Felty's Syndrome and Kala-azar: A challenge for the rheumatologist. Bras J Rheumatol. 2010;50(6):710-715. Somatic STAT3 mutations in Felty syndrome: an implication for a common pathogenesis with large granular lymphocyte leukemia. ↑ 1.0 1.1 1.2 RUO-ZHI X, MU-JUN X, ZI-JIE L, RUI-FANG F, DONG-JUN L. Diagnosis of Felty’s syndrome, distinguished from hematological neoplasm: A case report. Oncology Letters [serial on the Internet]. (2014 March), [cited April 2, 2016]; 7(3): 713-716. Available from: Academic Search Complete. ↑ 3.00 3.01 3.02 3.03 3.04 3.05 3.06 3.07 3.08 3.09 3.10 3.11 3.12 3.13 3.14 3.15 3.16 3.17 3.18 3.19 3.20 Bagher Owlia M, Newmann K, Akhtari M. Felty’s Syndrome, Insights and Updates. TORJ. 2014; 8(1): 129-136. ↑ 9.0 9.1 Goodman C, Snyder T. Differential diagnosis in physical therapy. Philadelphia: Saunders; 2000. ↑ Feldthusen C, Dean E, Forsblad-d’Elia H, Mannerkorpi K. Effects of Person-Centered Physical Therapy on Fatigue-Related Variables in Persons With Rheumatoid Arthritis: A Randomized Controlled Trial. Archives of Physical Medicine and Rehabilitation. 2016;97(1):26-36.